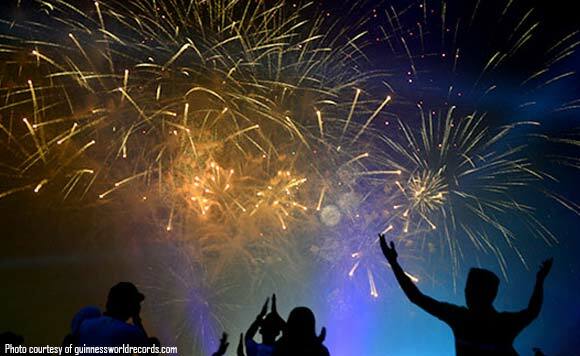 Local officials of the province of Bulacan have put up community fireworks display areas as part of the regulation and control of the use of firecrackers and pyrotechnics. As of date, there are 18 community fireworks display areas identified in Bulacan. The additional areas were identified in 15 of the 34 barangays of San Rafael town. Earlier, the chief executives of Malolos and Pulilan had confirmed that each has one confirmed area in their respective localities. The Pyrotechnic Regulatory Board of Bulacan, chaired by Gov. Wilhelmino Sy Alvarado has reminded local chief executives to follow Executive Order 28 that provides for the regulation and control of the use of firecrackers and pyrotechnics, and that authorizes local chief executives to promulgate the necessary rules and regulations on firecrackers and pyrotechnic devices within their territorial jurisdiction in conformity with the national standards, rules and regulations. Under the EO, the use of firecrackers shall be confined to community displays to minimize the risk of injuries and casualties. Shops selling and producing firecrackers will also be strictly inspected by the Department of Labor and Employment during the holidays. Labor Secretary Silvestre Bello III instructed all regional directors to closely monitor firecracker manufacturing firms under their jurisdiction for compliance with the Occupational Safety and Health Standards. “Relative to the increase in the manufacture of pyrotechnics and firecrackers due to the holiday celebration, all regional directors are directed to monitor the establishments for compliance with Occupational Safety and Health Standards to avoid accident in the workplace,” Bello said. This includes submitting the list of establishments monitored on Dec. 29.